University of Georgia Press, 9780820328164, 244pp. In 1916, on the immigrant blocks of the Southern port city of Mobile, Alabama, a Romanian Jewish shopkeeper, Morris Kleinman, is sweeping his walk in preparation for the Confederate veterans parade about to pass by. "Daddy?" his son asks, "are we Rebels?" "Today?" muses Morris. "Yes, we are Rebels." Thus opens a novel set, like many, in a languid Southern town. But, in a rarity for Southern novels, this one centers on a character who mixes Yiddish with his Southern and has for his neighbors small merchants from Poland, Lebanon, and Greece. 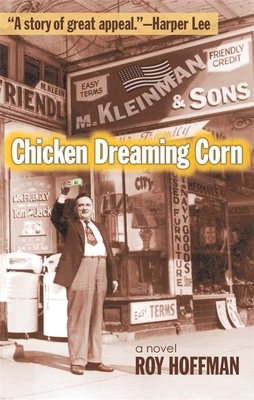 As Morris resides with his family over his Dauphin Street store, enjoys cigars with his Cuban friend Pablo Pastor, and makes "a living not a killing," his tale begins with glimpses of the old Confederacy, continues through a tumultuous Armistice Day, and leads up to the hard-won victories of World War II. Along the way Morris sells shoes and sofas and endures Klan violence, religious zealotry, and financial triumphs and heartbreaks. With his devoted Miriam, who nurses memories of Brooklyn and Romania, he raises four adventurous children whose own journeys take them to New Orleans and Atlanta and involve romance, ambition and tragic loss. At turns lyrical, comic, and melancholy, this tale takes inspiration from its title. This Romanian expression with an Alabama twist is symbolic of the strivings of ordinary folks for sustenance, for the realization of their hopes and dreams. Set largely on a few humble blocks yet engaging many parts of the world, this Southern Jewish novel is, ultimately, richly American. Roy Hoffman is the author of the novel "Almost Family," winner of the Lillian Smith Award for fiction, and the nonfiction collection, "Back Home." A native of Mobile, Alabama, he worked in New York City for twenty years as a journalist, speechwriter, and teacher, before returning to the South as staff writer at the "Mobile Register." Hoffman's reviews and essays have appeared in the "New York Times," "Fortune," "Southern Living," and other publications. He lives in Fairhope, Alabama, and travels to Louisville, Kentucky, where he teaches in the brief-residency MFA in Writing Program at Spalding University.